I wish I had this list when I was just getting started with Google AdWords… It would have prevented countless early mistakes that cost me a lot of time and money. The reality is that Google AdWords is a big, hairy beast of a platform and it’s nearly impossible to set everything up correctly unless you follow a step-by-step guide or a checklist. To make matters worse, AdWords is unforgiving. Small mistakes like using default settings can end up costing you hundreds or even thousands down the road. That’s why today I’m publishing a list of questions you need to answer to ensure you’re not missing any important details. Whether you’re just about to go live with your ads or they’ve been running for years, walk through the questions below to see if there’s any room for improvement. 1. Are you targeting buying-intent keywords? One of the biggest mistakes with AdWords advertising is targeting research-intent keywords. When prospects are doing research, then they aren’t ready to make a purchase so the vast majority of your ad budget will be wasted when you target research-intent keywords. Instead, focus on buying-intent keywords where you know the prospect is searching in Google in order to make a purchase. 2. Are your keywords grouped into Ad Groups of similar phrases? The purpose of organizing your keywords into Ad Groups is not to make your campaign look neat and tidy. Keyword organization actually plays a critical role in an AdWords campaign because every keyword in a particular Ad Group will use the same ad copy. That means if you have many different keywords in the same Ad Group, then your ad copy will not make sense for all of them (unless of course you draft a boring, generic ad, but you know that’s not going to work). 3. 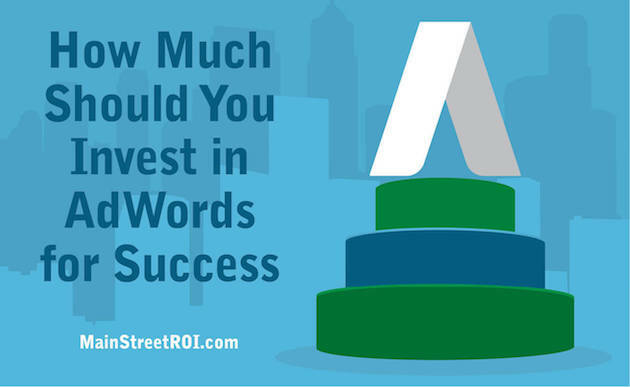 Are your keywords Broad Match, Phrase, or Exact? By default AdWords will set your keywords to broad match. That means your ads will be displayed on any keyword AdWords considers relevant to your keyword. Did you know that? You would assume if you add the keyword “leather journal” that your ads would only display when someone searches “leather journal.” But that’s not the case unless you use the Exact match type! Phrase match keywords allows AdWords to display your ads for any search that includes your keyword phrase. Clearly, it’s important to review your match types to make sure you’re ads are displaying on the right keywords. 4. Are there any negative keywords? 5. Are your ads 100% relevant for all the keywords in the Ad Group? This is marketing 101 – match your message to the market. If your prospect is searching for a “leather journal” then your ads should focus on your leather journal products. As mentioned in question #2, your keyword organization plays an important role in whether or not your ads will all be 100% relevant. First, organize your ads into Ad Groups of similar phrases and then you’ll be able to draft ads that closely match your keywords. 6. Is the core keyword used in your ad copy? This should be fairly obvious after the previous question, but it’s worth clarifying. Review your ads and make sure the core keyword phrase that you’re targeting in the Ad Group is in at least one of your ads. This will help your relevance score, which leads to a higher AdWords Quality Score, and it tends to also increase your ad click-through rates. 7. Do your ads include a compelling offer and call to action? Search in Google for your target keywords to see what your competitors are offering. Then put yourself in your prospects shoes and honestly consider which ad you would click on based purely on the ad copy. Would you really click on your ad or would you click on one of the other more compelling offers? If you struggle with that question then chances are good your prospects are not going to find your ads compelling either. 8. Are All appropriate ad extensions set up? In some cases, one of the above will not make sense for your business, but whenever possible set them all up. Ad extensions tend to increase your click-through rate, which leads to higher Quality Scores, which leads to better ad position for less cost. 9. Is your landing page 100% relevant for the keywords and ads? First of all, are you advertising to your homepage? If yes, then create a dedicated landing page ASAP. Even if it’s a duplicate of your homepage, it’s important to have a dedicated landing page because you need the freedom to make edits to improve conversion rates. Plus, your homepage is rarely the most relevant page for all of your keywords. 10. Does the offer on the landing page match the offer in the ads? Both cases will hurt sales conversions, but they are easy to fix. 11. Do you have separate Search vs. Display campaigns? This is another easy one to answer. Check to see if any of your campaigns are targeting both the Search and the Display network. If you’re not sure about the difference between these two networks, then click here to learn more. Each network behaves quite differently and requires a separate campaign to properly optimize your ads. 12. Are you targeting mobile traffic with a mobile landing page? We all know more and more prospects are turning to mobile to surf around, and even buy online. That’s why AdWords by default will enable all of your ads to target mobile devices. The problem is that many businesses do not have mobile friendly websites. That means you may be spending precious ad dollars to send prospects to a website that is nearly unusable on a mobile device! To prevent this, make sure you turn off mobile targeting until you have mobile friendly landing pages. 13. Is all the appropriate conversion tracking setup? Congratulations! By making it this far you now know how to ensure your AdWords campaign is set up properly. The next step is to take action and fix any issues that may have been highlighted by walking through the 13 questions above. If you’re feeling stuck, overwhelmed, or simply don’t have the time, then I have one more question for you…. Want Our Help Improving Your AdWords Campaigns? Here’s the deal: Sign up for our Google AdWords services before the end of 2015 and you’ll save 50%-OFF your first month! Click here to see the details and sign up.